EDI (Electronic Data Interchange) has a stronghold in the technology world, and has since its inception. Still in wide use today as a crucial data touchpoint between supply chains, brick-and-mortar stores, order management systems (OMS) and more, EDI is a critical component in moving data and goods. While EDI standards have changed very little — especially when directly compared to the leaps and bounds made in cloud-hosted applications and their data communication mechanisms, APIs (Application Programming Interface) — the ecosystem of data movement surrounding EDI has changed significantly. What’s now possible with EDI (beyond your EDI application or service provider) magnifies what can be done with this data. 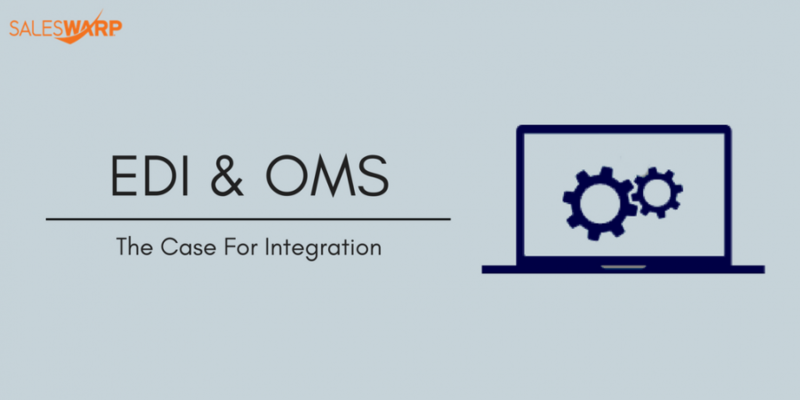 One application that you absolutely must consider integrating with your EDI is your OMS. Automating key data flows is a well-established competitive advantage for retailers large and small. But there are distinct advantages in integrating EDI with your OMS. The two applications have serious synergy; the overlap between the datasets that each deal with is perfect for tight integration. Automating data flows between your EDI partners and your OMS can help your business reach new heights. For example, an EDI integration can function just like a new sales channel in your OMS, standardizing orders from a retail partner for fulfillment just like an ecommerce order. Both EDI and OMS deal with similar business-critical data. While your OMS allows your business to manage orders faster, in a streamlined and simplified manner with visibility into your inventory and operational data, your EDI solution also processes key business transactions like Purchase Orders (850s), Invoices (810s), Advanced Shipment Notifications (856s), Inventory Updates (846s), and more. Even at this superficial level, I bet you can see the overlap and commonality between the functions of EDI and the role of your OMS: they both deal directly with the movement, tracking, and inventory of your business’ transactions. But there’s a hiccup: most businesses handle their EDI and OMS separately, despite clear overlap. In the data integration world, we call these ‘islands of technology’. Communication between these islands is limited, sometimes impossible if legacy systems are involved in the mix. In these situations, businesses resort to workarounds like manual data entry. Instead of simplifying, automating, and integrating, businesses either live with the separate systems or live with the inefficiency of moving data by pounding keyboards. And the more people involved in moving your data, the more costs your business incurs in time, salaries, and data errors. This overlapping data is exploding in use across the omnichannel world, both digitally and in the physical movement of goods through trading partner channels and bricks-and-mortar outlets. Many retailers and marketplaces use EDI as their standard method of data movement and communication, like Walmart (both online and in-store) and Amazon Vendor Central. These trading partners and sales channels leave very little room for error in inventory counts, prices, order and fulfillment response times, and other key data points. While EDI is the communication method, your OMS houses all that data, and if you’re manually moving this data you’re leaving your business open to issues — and to competitors. So why integrate your EDI with your OMS? ● Time and cost savings. While reducing the number of people that are manually moving data saves both time and money in itself, integrating your EDI with your OMS means you’ll have less opportunity for human error to interfere in your data’s movement. Data errors are costly – not only in terms of correcting the errors, but many trading partners, marketplaces, and shipping solutions implement chargebacks as penalties for bad data. ● Better inventory visibility. Not only does integrating your EDI with your OMS help reduce the potential for human error, you’ll also have better visibility and higher accuracy of your actual inventory. ● The ability to move data in near real-time. Automating EDI data into and out of your OMS simply means the data has the ability to move faster. Additionally, some high-level data integration solutions offer the ability to apply your business’ rules to the data movements, saving even more time and money. ● More accurate analytics and business intelligence. By moving data in near-real time, you have a much clearer picture of your business’ analytics and your overall business intelligence. ● Truly unified channels for a better customer experience. Flexible shipping options, including the ability for online orders to be picked up in-store, are quickly becoming a default customer expectation. Integrating and automating your EDI data with your OMS means the time for fulfillment in these complex shipping options can be reduced with the opportunity for increased accuracy. ● Faster payments. More accurate invoice data that can be sent in an integrated and automated way means invoice data gets into trading partners’ hands faster. Want to integrate your EDI data with your SalesWarp OMS? VL OMNI can help. VL provides agile and scalable SaaS data integration to scaling upper SMB and enterprise-level omnichannel business across a number of sectors, including omnichannel retail. Over 200 businesses trust VL OMNI, an agile point to multi-channel integration middleware platform, to move data seamlessly through their infrastructure as they grow, expand and accelerate their business. Accelerate growth with VL OMNI: Your trusted integration platform for real-time accurate customer order data, shipment details, inventory, and prices.